Holdsworth Chocolates have created a stunning Gin ganache, infused with Grapefruit & Elderflower. 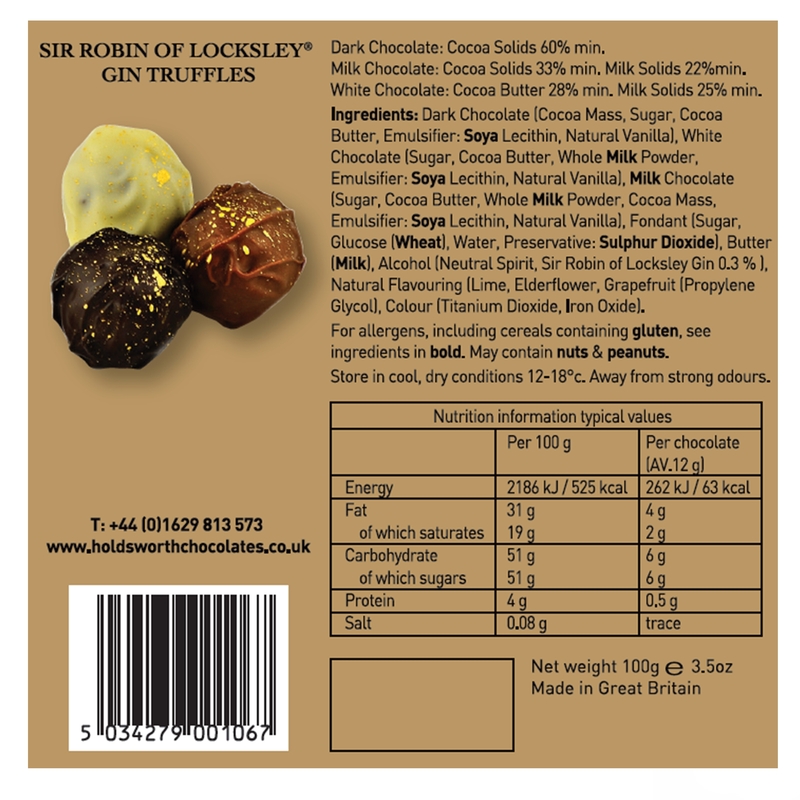 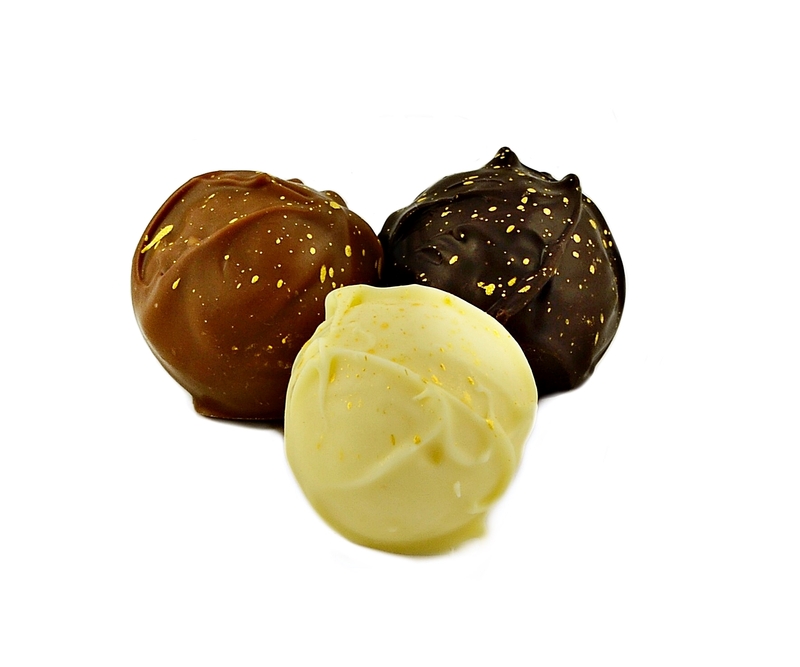 Unique Sir Robin of Locksley Gin truffles enrobed in the finest Milk, Dark & White Chocolate. 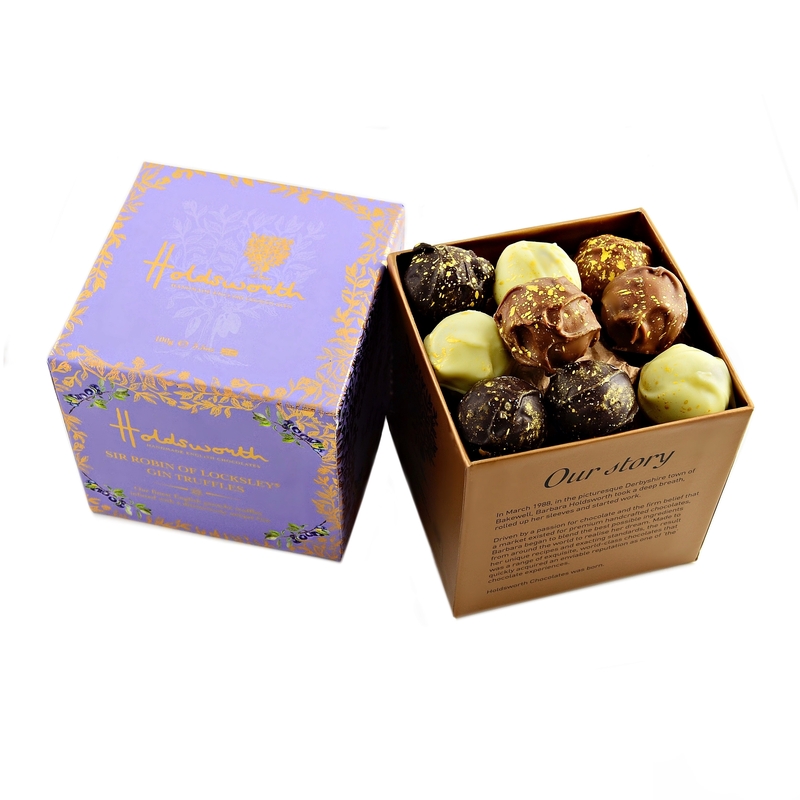 Presented in a beautiful purple box, printed with juniper berries. This size box also comes in Caramel, Marc de Champagne and Assorted – Click to view. 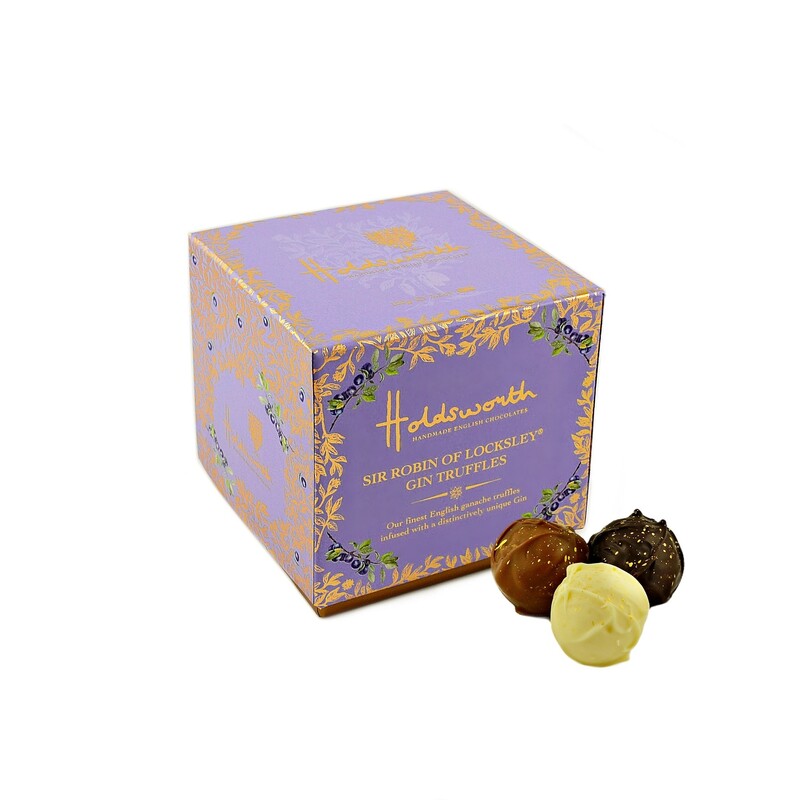 Ingredients: Dark Chocolate 37% (Cocoa Mass, Sugar, Cocoa Butter, Emulsifier: Soya Lecithin, Natural Vanilla), White Chocolate (Sugar, Cocoa Butter, Whole Milk Powder, Emulsifier: Soya Lecithin, Natural Vanilla), Milk Chocolate (Sugar, Cocoa Butter, Whole Milk Powder, Cocoa Mass, Emulsifier: Soya Lecithin, Natural Vanilla), Fondant (Sugar, Glucose (Wheat), Water, Preservative: Sulphur Dioxide), Butter (Milk), Alcohol (Neutral Spirit, Sir Robin of Locksley Gin 0.3 % ), Natural Flavouring (Lime, Elderflower, Grapefruit (Propylene Glycol), Colour (Titanium Dioxide, Iron Oxide). For allergens, including cereals containing gluten, see ingredients in bold. 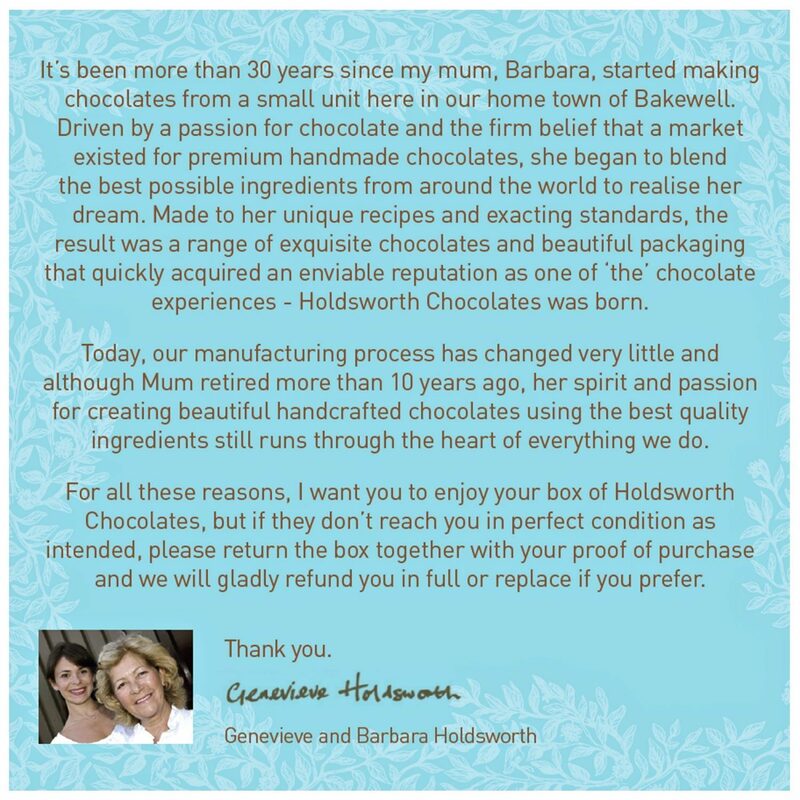 May contain nuts & peanuts.